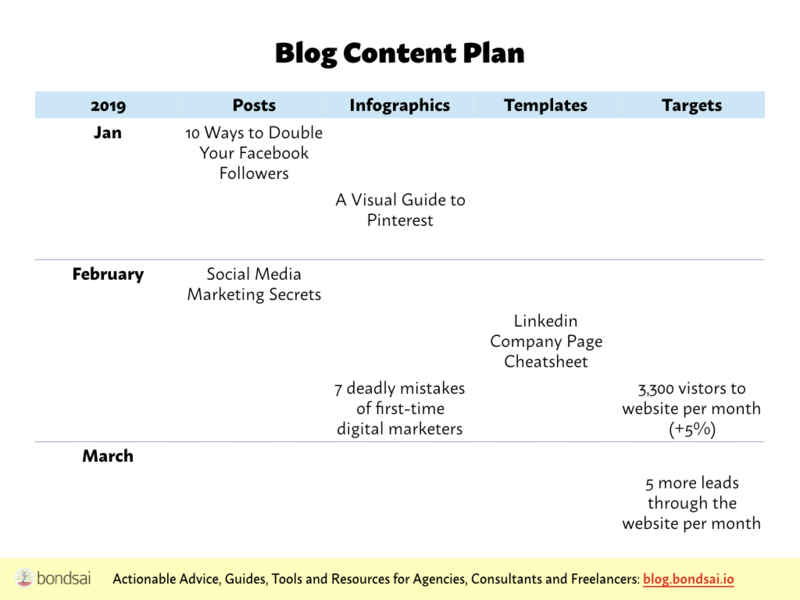 On this page, you’ll find several tools and templates for developing your business. 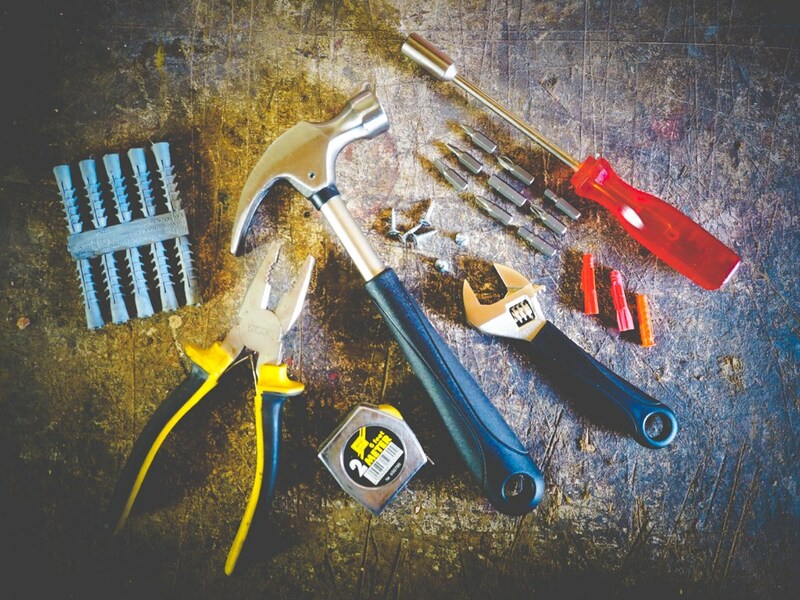 Use these tools to improve the customer experience and creating a customer-focused culture at your company. 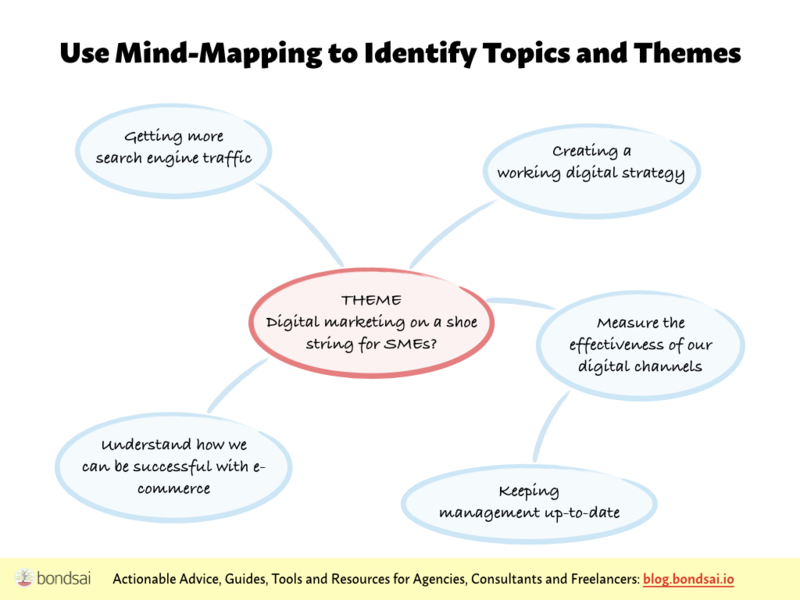 Use the idea generator to quickly come up with new ways to put a smile on your clients’ faces. 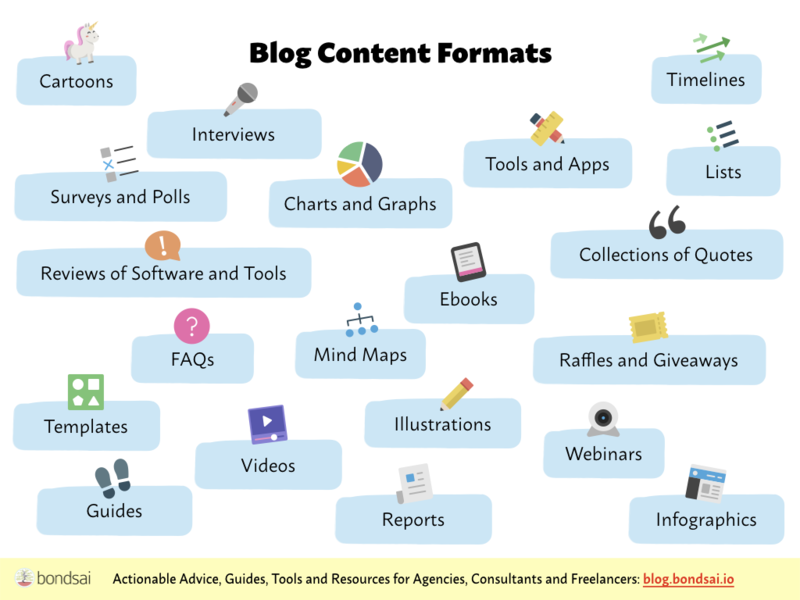 It contains hundreds of ideas and more are added weekly. Open the Client Happiness Idea Generator. 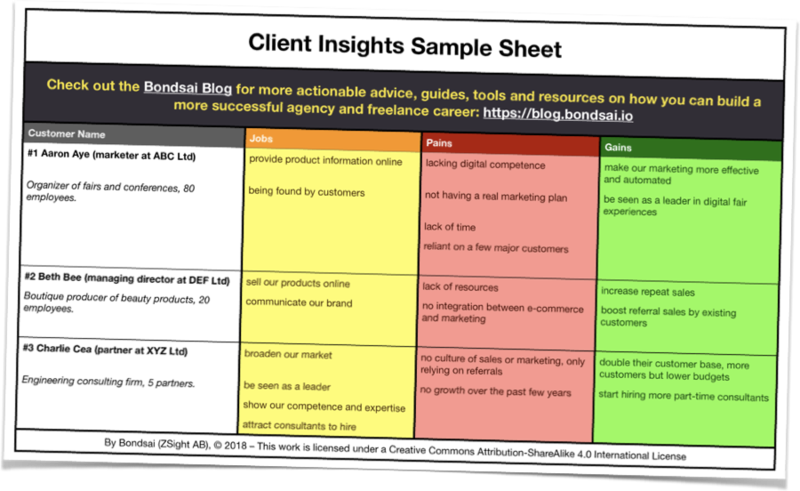 Use these templates to implement value-based pricing in your agency or consulting business. See the entire article on value-based pricing for agencies and consultants to find out how to use them. 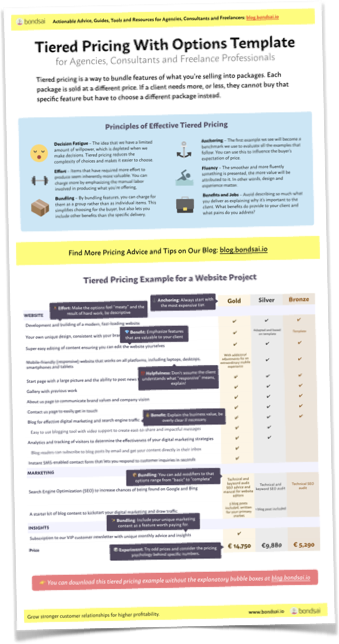 Use tiered pricing to price more effectively. Please see the original article on tiered pricing for agencies and consultants on how to use it. 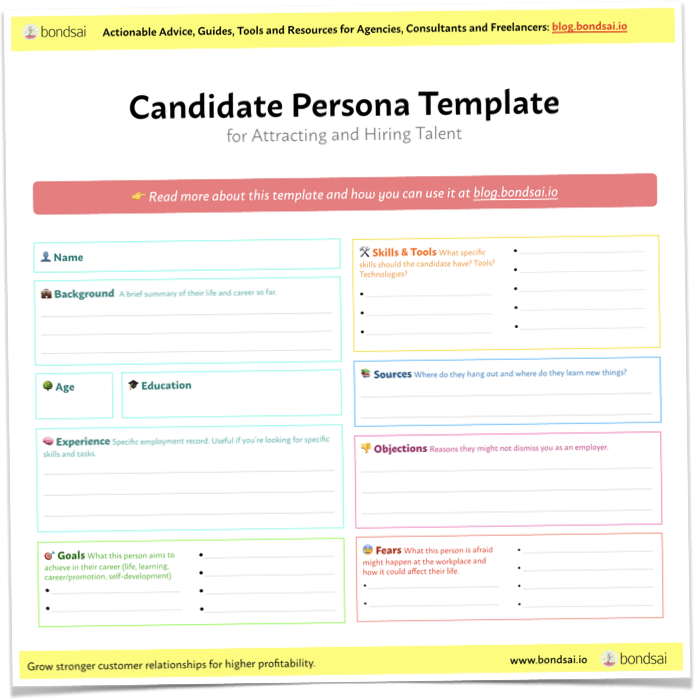 Use the candidate persona template to improve your understanding of your most desired job candidates. Use it to create effective employer branding activities and attract the right people to hire. 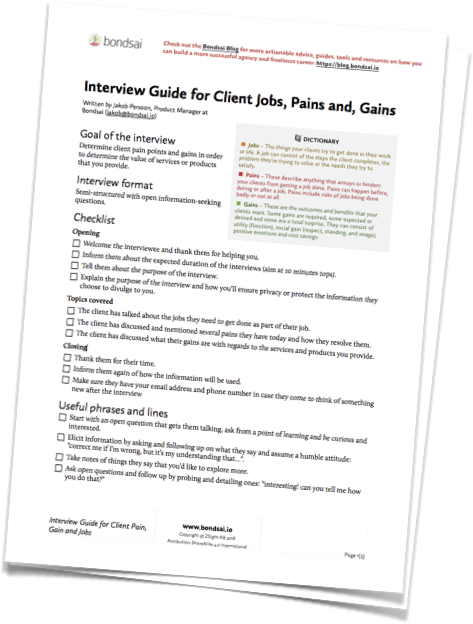 Use this worksheet to carry out structured interviews with clients to get insights. 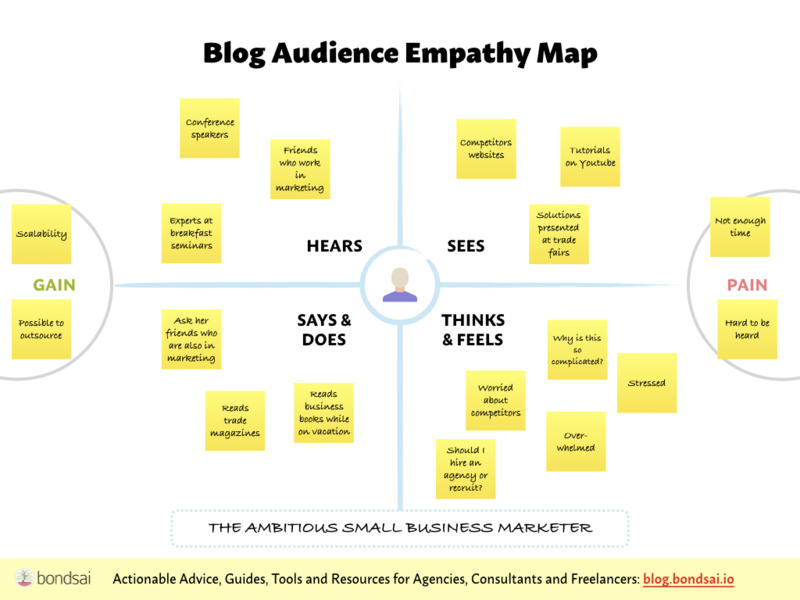 Use those insights to learn about customers’ goals, needs, and frustrations. Turn those goals and needs into ideas for new products and services. 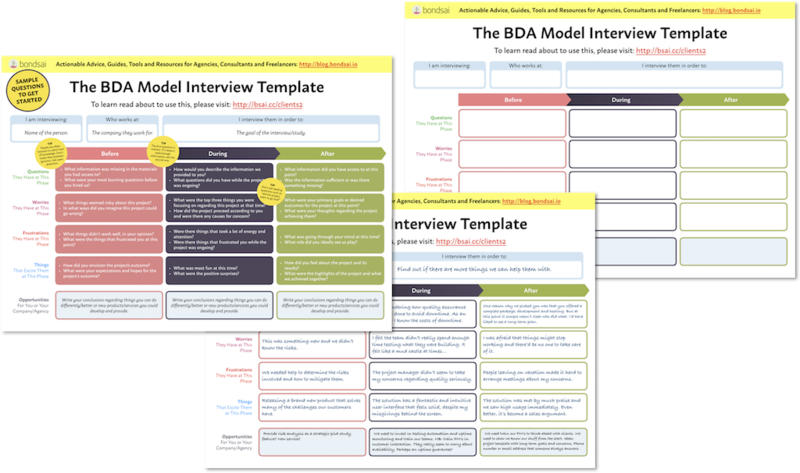 Read the whole article about the BDA model to find out more. 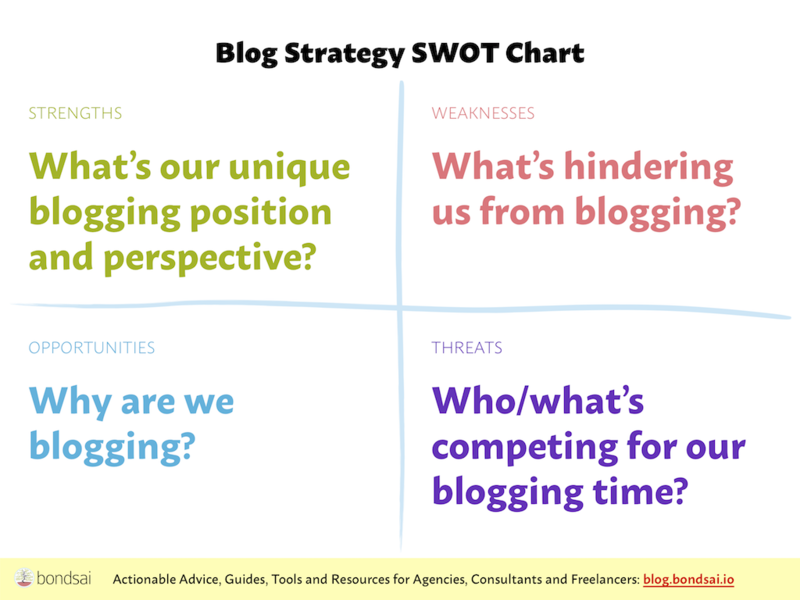 These are templates you can use to better understand your audience, identify the sweet spot of topics to write about and make a plan you can stick to.